At djWeymo we specialise in weddings and event djaying, we play mainly at wedding engagements, and wedding receptions parties. We have fine-tuned and tailored our service offerings, and equipment to enhance the overall wedding experience in Lagos. While at a wedding exhibition recently in Lagos I met many couples who came up to my stand and looking to tie the knot, a common question I got asked was “How much do you charge to DJ?” This in itself isn’t an unreasonable question to be asked, especially as one would expect that every couple want to value for money and to have a good time on the day also. For many, this might actually be the first time they have had to engage a DJ in this manner as it’s not something many people have to do often. So with that mind, I decided to write this article to help couples and future clients understand what can affect the price of a DJ in Nigeria. How much does a professional dj cost – what am I getting? So you might be asking what the difference is between the 3 categories of DJs I listed above, well let me explain. At the top of the DJ chain are the celebrity DJs. These are very highly skilled DJs within Nigeria who have developed their skills over time to the point where they are celebrities. Due to their social status and skill, you find them working in clubs, on the Radio / TV, or as brand representatives, and in some cases signed to record labels in the music industry. These DJs are highly sort after and their calendars are generally full. You know you are dealing with a celebrity DJ when you have to talk to his or her manager/agent in order to book them and their services. The price they charge reflects their status as a celebrity, and as you can imagine being fortunate to have one of these DJs at your wedding is very desirable, more so if you can afford it. The professional DJ comes next in the charging chain, these are djs who are likely to be lesser known than the celebrity DJ but who are still highly skilled in their craft. Unlike the celebrity DJ however, the professional DJ is more likely to have invested more into his or her craft and equipment mainly because the professional DJ doesn’t get paid for appearances, but rather this category of DJ gets paid on performance. The professional DJ is in the business of djaying and so is easy to reach and discuss with, who tends to be more customer focused, which is very good for clients who do not want to be let down on their big day. 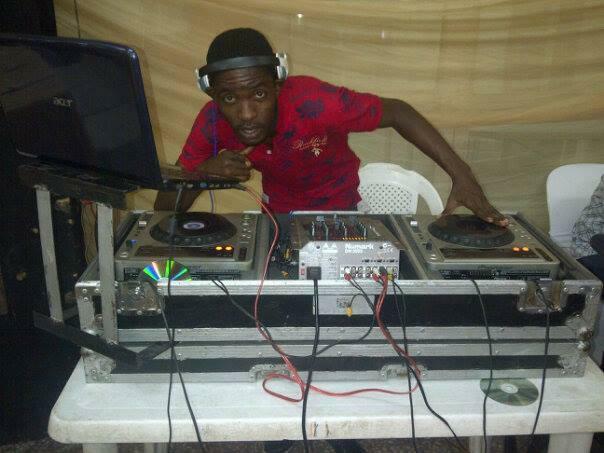 Last in the list is the hobbyist DJ. This is where believe it or not most if not all DJs start from, however it is often possible to find DJs who have been around for many years but have chosen to continue to operate their djaying in and hobbyist manner. Hobbyist DJs are also referred to as bedroom DJs to reflect that they tend not to have professional grade equipment, and operate out of a room in their residence. Typical hobbyist DJs have no discernable branding or definable process or approach to their work. They have very low overheads in terms of investment into their djaying. They are very easy to engage and can offer their services at well below expected rates. So unless you are very wealthy or on the other hand on a very tight budget, I would expect you to be looking hire a professional wedding DJ for your special day. Specialist Wedding DJs differ from say your club or party DJs and as you can appreciate a DJ for say a house party will be a lot cheaper to engage than say DJs for a wedding. Is background music required during meals etc. Are microphones needed for announcements this goes without saying, but you will be surprised how many DJs use poor quality cheap equipment which can make the day less than perfect. Will DJ lighting be needed, not all DJs are equipped to provide basic lighting at weddings. But it’s an accepted fact that lighting enhances the overall look and feel of the day. Lastly, it probably worth mentioning that the least thing you need to worry about with professional wedding DJs is the music, just about all DJs these days have a wide range of music available to them. The only word of caution will be that not all djs invest time in getting good quality version of songs they choose to DJ with, many use straight poor quality downloads, and rips from YouTube which never sound good when played on loud PA systems. So for a regular professional DJ for your wedding reception in Lagos, you should budget around ₦150k, and more experienced highly sort after DJs will cost you a bit more. Cheaper options exist but you are only getting what you paid for in those instances. If you are able to engage an experienced wedding DJ who has invested in professional grade equipment you will see and hear the difference. We have a good selection of DJs in Lagos and in Nigeria as whole with many willing to travel in order to fulfil your dreams for the day so don’t be afraid to shop around and see what you get. Hopefully armed with some good information from this article you can shortlist the perfect DJ for your day that gives you the right quality and meets your budget. 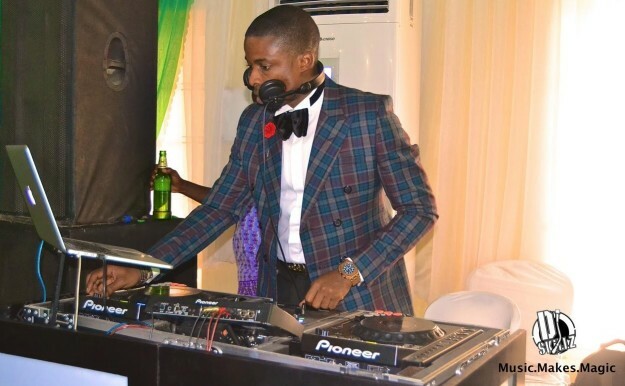 For a list of the Top 5 wedding DJs in Lagos click here. For how much I charge here at djWeymo please see my prices here.